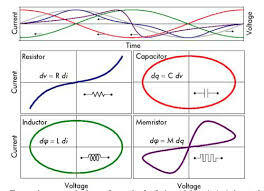 Resistor, Capacitor and Inductor are three circuit elements that are known to us for more than 200 years. However while formulating mathematics for non-linear circuit elements, Leon Chua predicted the need for another circuit element in 1960. This mysterious element suppose to provide a relationship between charge and magnetic flux. Despite the efforts of many scientists and engineers, memristor could not be physically realized for decades. In 2006, R. Stanley Williams from HP research LAB claims to discover the memristor. Although this device does not have the ideal IV characteristic (shown in below figure) predicted by Leon Chua, it does have a relationship that is expected from memristor. That is the device resistance is related to the current flowed through it. 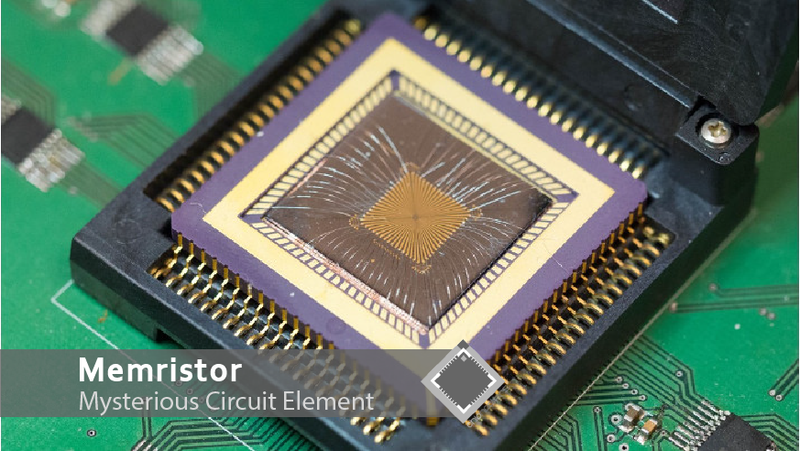 The memristor invented by Stanley and his team is a two terminal device, which contain a layer of Titanium Dioxide(TiO2) between the two platinum terminals. TiO2 is a wideband semiconductor material. When a voltage is applied across the terminals, Oxygen vacancies are pushed away from the positive terminal creating two sublayers of TiO2 and TiOx (oxygen deficient titanium oxide). As current flows through the device width of the TiO2 layer changes which changes the resistance of the device. The attracting feature of the device is the new resistance will remain as it is when no voltage is applied to it. This means, it will store it state indefinitely without consuming power. This means memristors can be used as non volatile memory witch fast switching speeds. Memristor is a promising device for many applications. It’s ability to store it’s state without consuming power and the ability to manufacture it using the current CMOS technology has attracted many tech companies. Some of the applications that might use memristors are listed below.